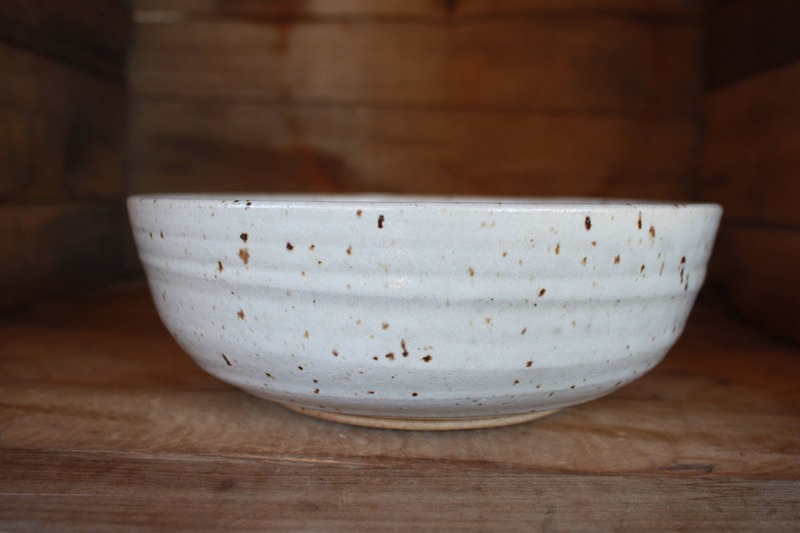 Made to order Ramen Bowls. 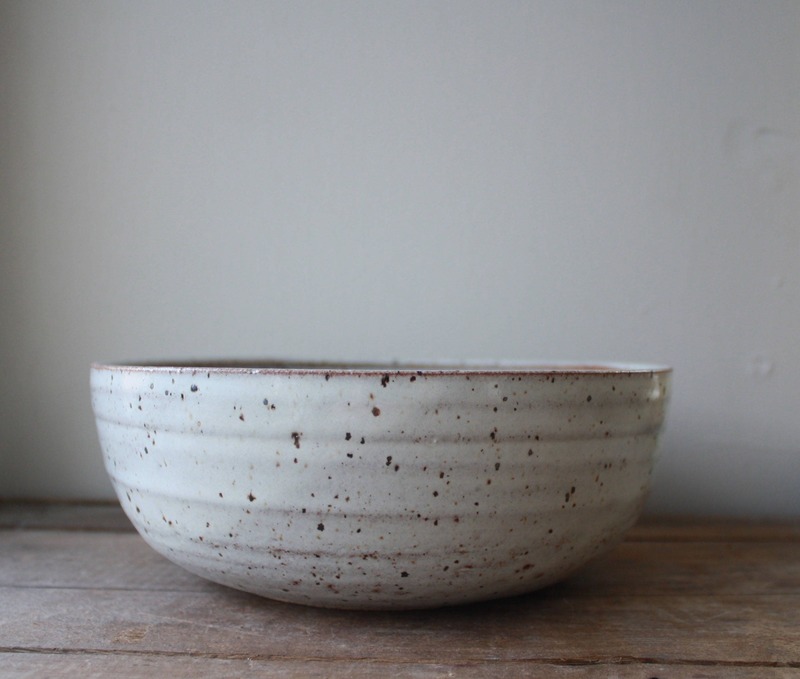 This listing is for one bowl, please specify on the quantity drop down menu how many you would like in your set. 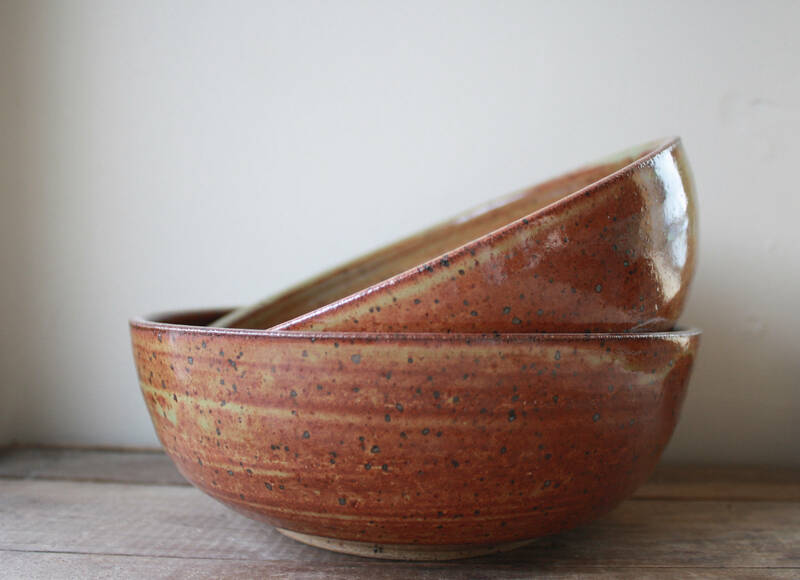 These handmade bowls are made from a iron red earthenware clay. 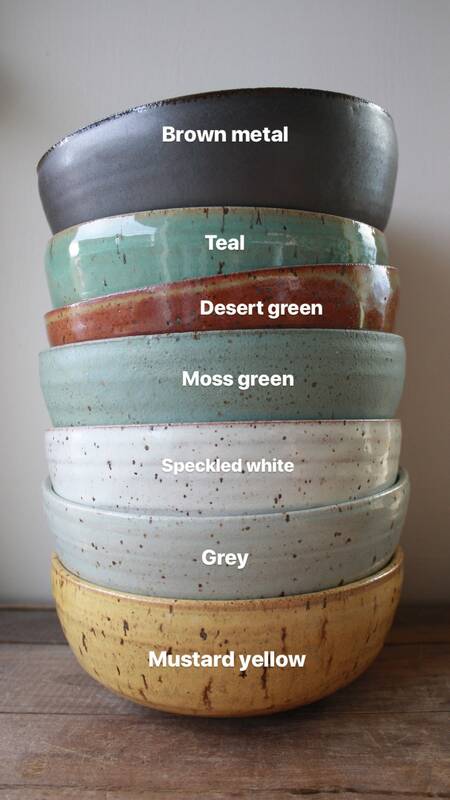 Bowls may be ordered in a speckled Grey, Mustard Yellow, Desert Green, Speckled White, and Teal, Smoke Blue, Brown Metal, Moss Green. 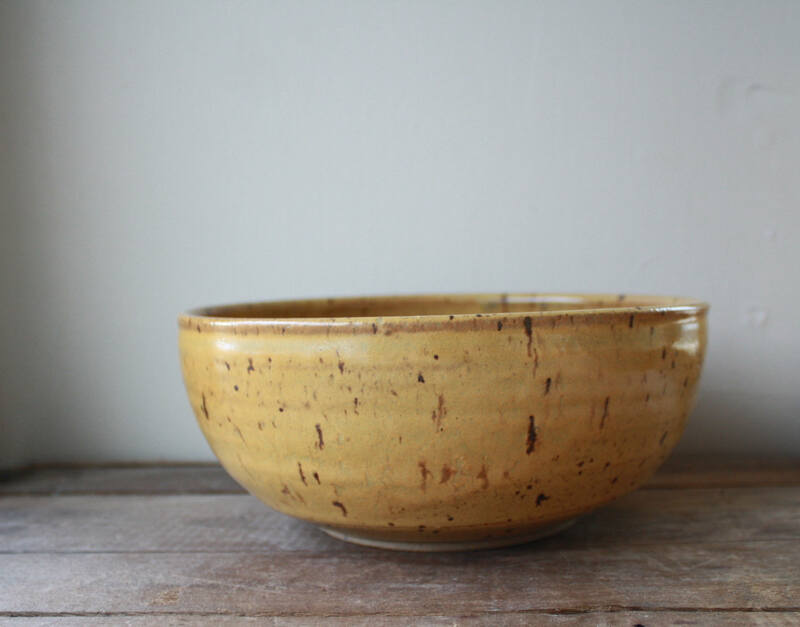 Bowls measure approximately 7" at rim and 2-3" tall. 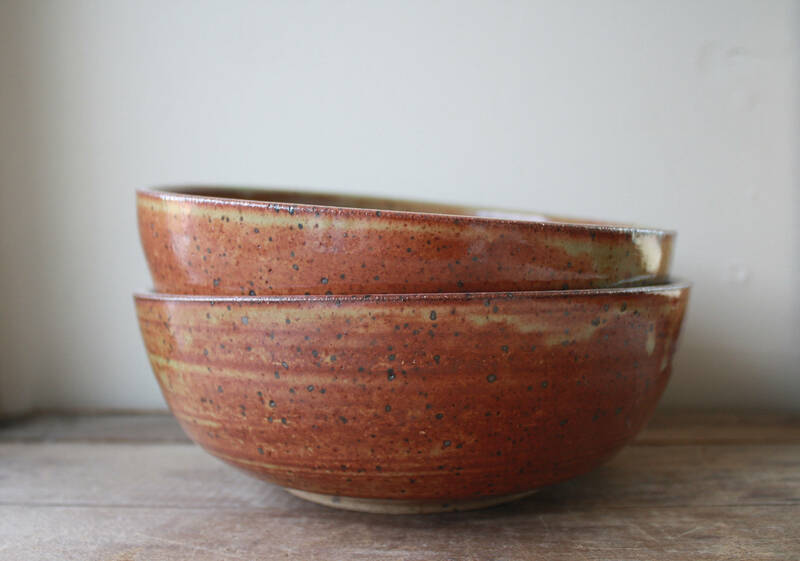 Extra deep bowls measure approximately 7" across at the rim and 3-4" deep. Please contact me before selecting the "custom" option. Different colors may be available. Please message me if you are interested in this set in a different color. Please check listings from my shop for more glaze color ideas. Made to order sets take roughly 4-6 weeks to complete. ORDERS MAY BE RUSHED FOR A SMALL FEE. Keep in mind that I make each piece from start to finish, so please allow plenty of time for each piece to be made properly. If you need your set sooner than the allotted 4-6 weeks please message me and we can work sometime out. There may be a rush fee. 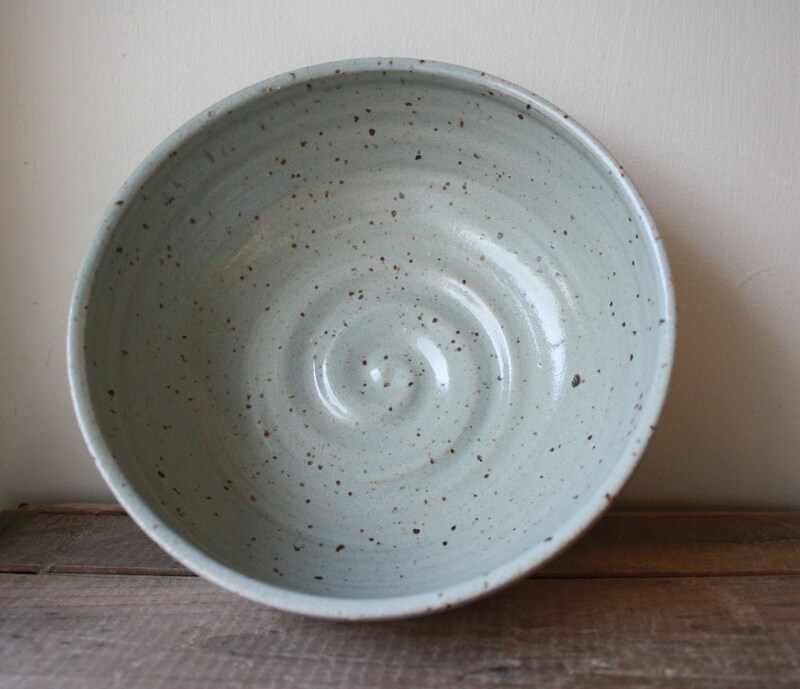 Each KJ Pottery piece is hand thrown on the potters wheel. 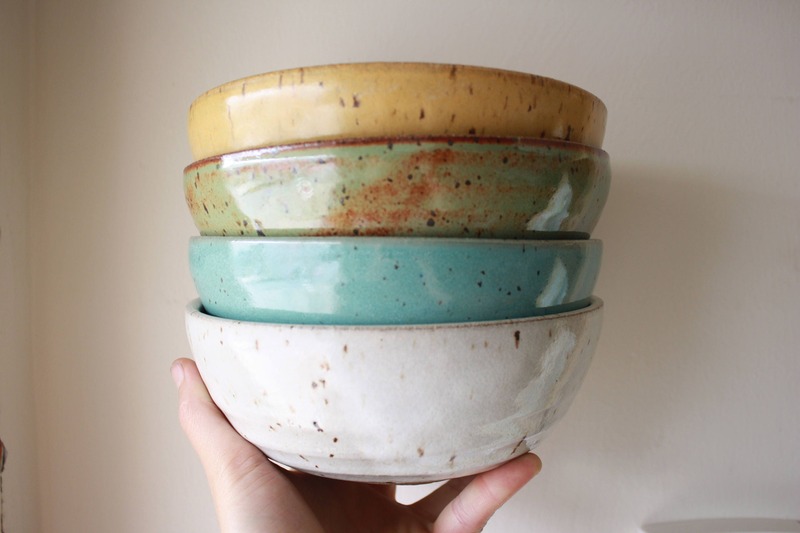 All pieces are food, oven, microwave and dishwasher safe, though I always recommend washing your KJ Pottery pieces by hand! Each piece is unique and different in some way, as all pieces are handmade. Listed shipping price is an estimate. 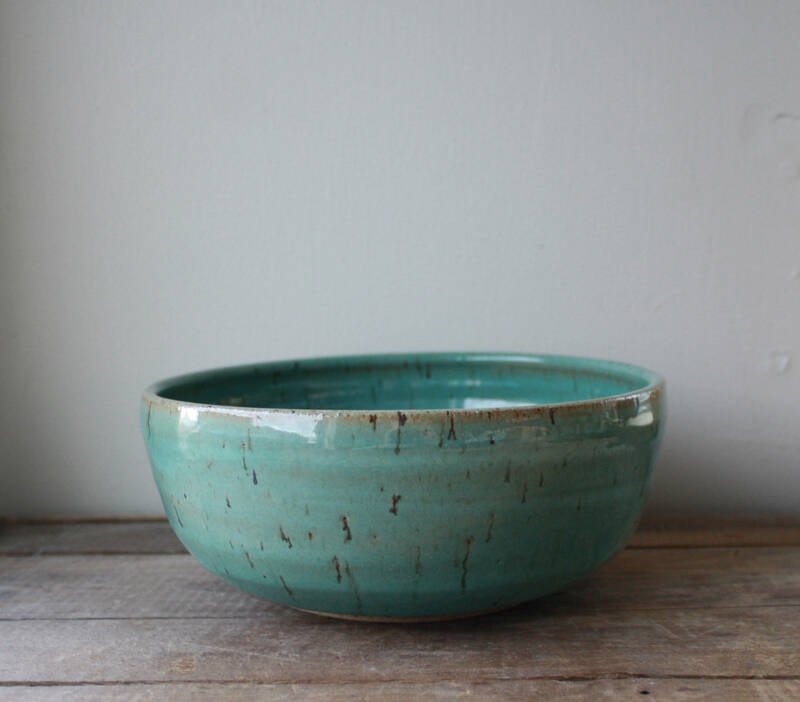 Absolutely beautiful pottery and amazing customer service when the wrong item was initially sent. Thank you! 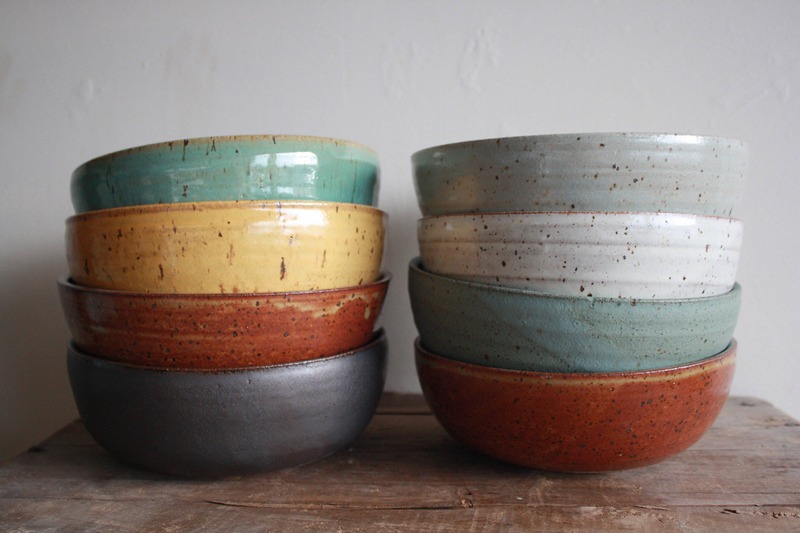 These bowls are beautiful. They are bigger than I expected, which I love. And the colors are fantastic. I got a different shade for each of us and they look so pretty stacked up. We’ve already started to use them. They will be favorites, for sure! Absolutely love my new bowls! I keep looking for new recipes to try just so I can put the food in these bowls. I will order again! !